Roberto graduated in Chemical Engineering and Geography. 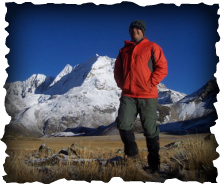 Specifically, he worked with the water chemistry team focusing on trace metal research in the Cordillera Blanca in Peru. He conducted studies relating to dissolved metal concentrations of the Santa River in the Andes Mountains, Peru, as well as have assisted with other group members’ projects. Oli, aka Dr. Drone, finished last year his PhD at the Department of Geography and Byrd Polar and Climate Research Center. His innovative development and deployment of unmanned aerial systems (UAS) and remote sensing as a method for the analysis of glacier dynamics and proglacial hydrology gave the study of glaciers a whole new perspective of potentials and possibilities. Oliver focused on the Andean Latin America and the environmental issues that these societies face. Specifically, he studied the changes driven by glacier recession, climate change, and agricultural expansion. 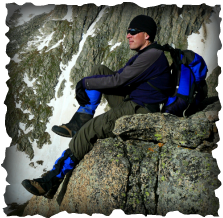 In October 2016, Dr. Drone started a postdoctoral research position at Earth Lab and the Institute of Arctic and Alpine Research (INSTAAR) at the University of Colorado Boulder, where he will continue to integrate high resolution remote sensing and UAV’s with field hydrology to improve our understanding of mountain ecohydrologic processes. Ryan completed his Master’s in Geography, Climatic Studies, in 2015 with a thesis entitled, “Investigating Glacier Melt Contribution to Stream Discharge and Experiences of Climate Change in the Shullcas River Watershed in Peru.” A devoted alpinist, climber, and environmentalist, he has gone on to pursue a PhD in the Oregon State University Water Studies program. He served at the Byrd Polar and Climate Research Center as a graduate associate in education and outreach to the Columbus community. 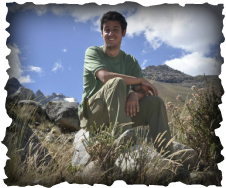 Alfonso completed his PhD in the Department of Geography in 2014, with a dissertation entitled, “Waning and Waxing of Mountain Glaciers in South America: A Modeling Approach Over Multiple Spatial and Temporal Scales.” Alfonso refined his modeling skills and analyses skills by considering glacier-climate interactions on a pan-Andean scale. He worked an additional year at the Byrd Polar and Climate Research Center as a postdoctoral researcher with the Modelling Regime Shifts on the Logone Floodplain (MORSL) Project (https://mlab.osu.edu/morsl) before returning to his native Chile to resume full-time his professorship in the Geography Department at the University of Concepcion. For detalis, you can visit his website. Jeff completed his PhD in 2014 with a dissertation entitled, “Assessing the Hydrologic Implications of Glacier Recession and the Potential for Water Resources Vulnerability at Vocán Chimborazo, Ecuador.” His academic interests broadly center on water resources in the developing world, and he integrated human and natural approaches to quantify glacial meltwater contribution to stream discharge on the mountain, evaluate the sensitivity of groundwater recharge/discharge on Chimborazo to changes in the mass balance of the mountain’s glaciers, and assess the current water usage of local and regional communities and determine their potential water resource vulnerability to glacier environmental change. He is now a tenure-track professor (and Departmental Chairman) of Geography and Environmental Studies at Gustavus Adolphus College in Minnesota (https://gustavus.edu/profiles/jlafreni). 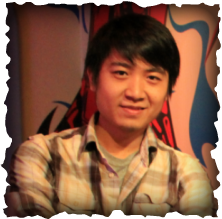 Wenkai completed his Master’s in Geography in 2014 with his thesis entitled, “The relationship between sea ice retreat and Greenland ice sheet surface-melt.” In particular, his project explored multi-decade variations in brightness temperature and also reanalysis climate model data along transects in Greenland in an effort to identify interannual trends in melt occurrence and the effect of snow layering. 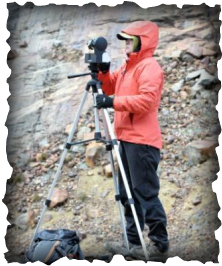 Currently he is following his passion to discover and understand cryospheric climate change and how it has been impacted by human activities through the use of remotely sensed data by pursuing his doctorate at the University of Cambridge, UK. Kyung In completed her PhD in Geography in 2014 and her dissertation is entitled, “Glacier volume changes in the tropical Andes: A multi-scale assessment in the Cordillera Blanca, Peruvian Andes.” She specialized in Atmospheric and Climatic Studies in the Department of Geography and was active as a Research Assistant in the Byrd Polar and Climate Research Center, where her broad research interests included: Glaciology, glacioenvironmental change, tropical glaciers, global climate change, glacial geomorphology, paleoenvironmental reconstruction & analysis, climatology and meteorology, integration and technical expertise with airborne and spaceborne remote sensing, GIS and GPS mapping. Her specific research assessed the volume and topographic context of tropical glacier recession using multi-temporal remote sensing dataset including high resolution digital elevation data of airborne light detection and range (LiDAR). Kyung In spent some postdoctoral time as a research assistant professor at Michigan Technological University (where she retains adjunct status) before starting as Assistant Professor of Geography at Cal Poly Pomona in California in 2015. Michalea graduated obtained her Bachelor’s in Geography, Climate Studies (with honors) in 2014. 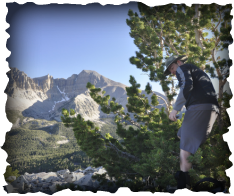 She was first exposed to fieldwork the prior August as part of GBEX13, traveling with a small team of OSU faculty to The Great Basin National Park. 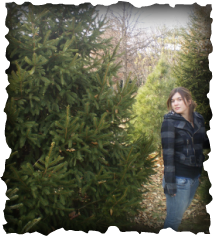 She has gone on to complete a Master’s in Geography, Climate, at the University of Delaware, working on a thesis about the sensitivity of Arctic sea ice to changes in cloud radiative forcing in the early summer. She plans to continue towards a PhD in following her passion to study climate change on/around the Greenland Ice Sheet. 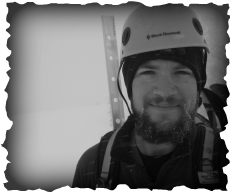 Nate completed his Master’s in Atmospheric Science in 2014, with a thesis entitled, “Evaluating near surface lapse rates over complex terrain using an embedded micrologger sensor network in Great Basin National Park.” Nate’s areas of interest are hydrometeorology and microclimatology in alpine areas. He went on to work for the National Park Service before getting a job with the New National Water Center (http://water.noaa.gov/) at the University of Alabama working with the Hydrologic Science & Modeling Branch, AL. 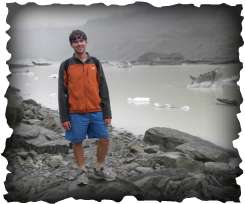 Colin completed his MA in the Atmosphere and Climate track at the Department of Geography and Byrd Polar and Climate Research Center. 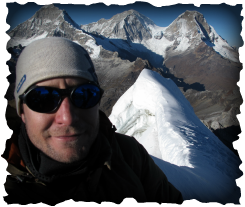 He opted for a the paper option, and completed an original research paper entitled, “Glacial and Groundwater Contribution to Dry-Season Discharge and Bofedales in Tuni, Cordillera Real (Bolivia), and Pastoruri, Cordillera Blanca (Peru).” Colin traveled extensively, setting a group record for trips to South America during his Master’s. His interests in the effects of glacier recession on water resources and consequently on societies both today and in the past inspired him to trek extensively in Bolivia and Peru after completing his degree. He is now employed in the environmental consulting realm back in Ohio. 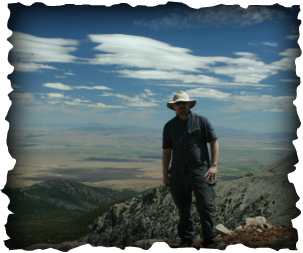 Scott completed his PhD in Atmospheric and Climatic Studies in the Department of Geography (2013), with a dissertation entitled, “Holocene Climate and Environmental Change in the Great Basin of the Western United States.” His interests include: biogeography, global environmental change, paleolimnology and paleoclimatology. Katie graduated with her Bachelor’s from the Departments of Geography and Earth Sciences in 2013. Her interests specifically included meteorology, hydrology, and climatology. 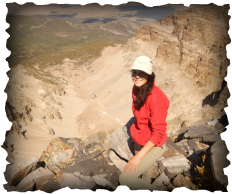 She participated in GBEX12, and focused on researching the water chemistry of The Great Basin National Park, located close to the Nevada/Utah border. My goal was to learn about field work first hand, and help the team to better understand the natural processes at work in the park, and to study the effects of pollution in this unique and dynamic region. Alex completed her Master’s in Geography in 2012 with a thesis entitled, “A mixed method approach to exploring and characterizing ionic chemistry in the surface waters of the glacierized upper Santa River watershed, Ancash, Peru.” She went on to obtain a prestigious internship with the National Geographic Society’s Explorers Division, which supports a variety of research ranging from environmental conservation, innovative technologies, and human development strategies. After her internship, she worked in the Bureau of Land Management and then National Parks (King’s Canyon/Sequoia) as a GIS and Natural Resource Specialist. She is now working in Bouler, Colorado. Shawn came to Peru in 2009 and 2010 as field assistant, gathering data he analysed for his honor’s undergraduate thesis entitled, “Evaluation of local climate variability in the Peruvian Andes: an analysis of high-resolution observations and regional trends.” He went on to complete his Master’s in Natural Resource Studies at the University of Arizona, working on a mine land reclamation project, and is now working in the non-profit realm as Restoration Specialist at The Gila Watershed Partnership of Arizona. Pat graduated in Ju ne 2010 with research distinction with his Bachelor’s in Geological Sciences (now School of Earth Science), where he was co-advised by Dr. Mark on a thesis research project based in the Andes, entitled, “Geochemical Analysis of Waters in a Tropical Glacial Valley, Cordillera Blanca, Peru.” After getting his Master’s in Water Resource Science as a Graduate Research Assistant at Oregon State University, Pat has refined his remote sensing and geospatial analytical skills in the private sector. He is employed as a Technical Specialist with Quantum Spatial (https://quantumspatial.com/) and does really cool analyses of spectral and spatial data. Kristin Walls completed her Master’s in Atmospheric Science in 2010 with a thesis entitled, “Synoptic Analysis of the Tornado and Derecho Climatology of O hio from 1963-2002.” She accompanied the group to the Quelccaya Ice Cap as part of a CWC-funded pilot project to conduct a GPR and differential GPS survey. Her passion is weather. She is currently working in Louisville, Kentucky as the weekend meteorologist at WHAS11 (http://www.whas11.com/about-us/team-bios/kristin-walls/44662655). After graduating with her MA in Geography in 2009, with a thesis entitled, ““Melting Marvels: Tourist Responses to Climate Change and Glacial Melt in the Peruvian Andes,” Sarah went on to receive a Masters of Library Science from Kent State University. She is currently using both her geography and library science skills as a Homework Help Center Coordinator for the Columbus Metropolitan Library System. 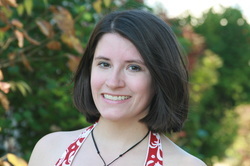 Karin Bumbaco completed her Master’s in Geography/Climate Studies in 2008, with a thesis entitled, “SEASONAL AND DIURNAL VARIATIONS IN HYDROMETEOROLOGICAL VARIABLES IN AN ANDEAN MOUNTAIN ENVIRONMENT AND COMPARISON TO THE NCEP/NCAR REANALYSIS I DATA.” She is now working as the WA Assistant State Climatologist at the University of Washington in Seattle (http://www.climate.washington.edu/about.html). Her research focuses on WA weather and climate, and she’s also the primary point of contact for queries about WA climate, access to data, outreach activities, etc. Jon was an undergraduate and Master’s student in Atmospheric Sciences, obtaining his degrees in 2004 and 2006, respectively, and a faithful and accomplished trumpet player in the OSU Marching Band. He completed his Master’s thesis in 2006 entitled, “INVESTIGATING PALEOCLIMATIC CONDITIONS IN THE TROPICAL ANDES USING A 2-D MODEL OF GLACIAL MASS ENERGY BALANCE AND ICE FLOW.” Jon went on to obtain his PhD at University of Alabama, Huntsville, and is now a postdoctoral researcher at the University of Manchester, UK (http://personalpages.manchester.ac.uk/staff/jonathan.fairman/).